The KMEA Kansas All-State Ensembles audition results came out recently and we are happy to see several of our students made the cut. 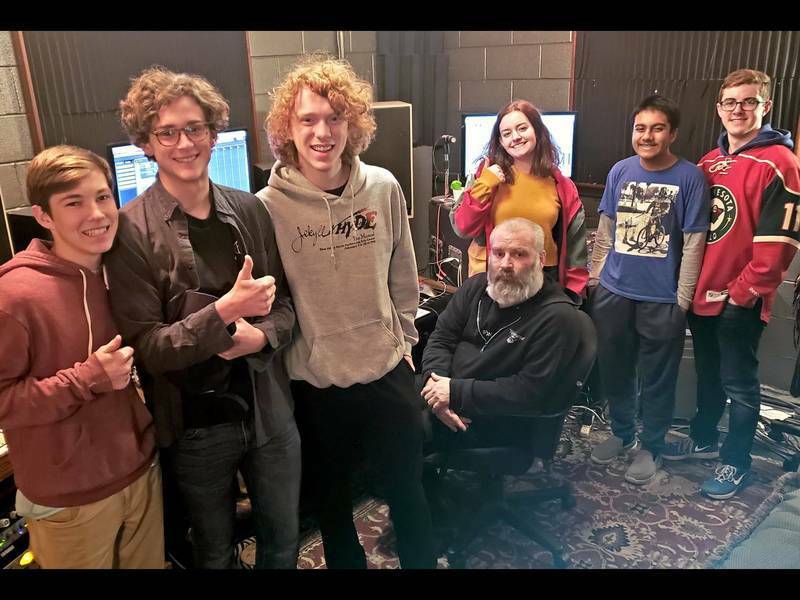 It takes a lot of training, practice and dedication to be chosen for the All-State band, orchestra, and choir, and these students have shown they have what it takes to succeed. Dante has been a Music House student for more than 8 years. He started in guitar classes, and has taken guitar and saxophone lessons and worked his way through all levels of our band workshop program. He currently plays guitar in our All-Star Band. Dante hopes to have a career in music. Deandra has taken oboe lessons from our oboe teacher, Katrinka Sizemore, for over 3 years. She has always been a dedicated student with particular focus to consistent practicing and an eagerness to take on any performance situation she can, including being a member of the youth symphony. Her natural musical phrasing and beautiful sound has always won her compliments and is quite an achievement for an oboist. Noelle started at Music House taking oboe lessons, and has been learning from Katrinka for over four years. She also participated in the Oboe Trio, an ensemble that gave the students a chance to work on more challenging material and learn to play as a group. She also took a Pop Piano class. Noelle loves arranging music, and arranged music for the Music House oboe trio. She has also done some arranging for band projects. She plays several instruments, which she plays in marching band and in the pit for various school productions. She has a very natural music ability which leads to her easily picking up new instruments. Alex started taking piano lessons at Music House, and soon after joined one of our band workshops. A few years later he added saxophone lessons. 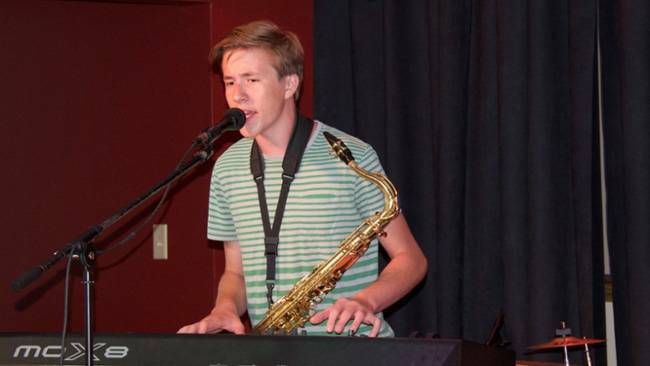 He has worked his way up through the band workshop program and is now in the top level of both the rock band, where he plays piano and sings, and jazz combo where he plays saxophone. After starting out with guitar classes, Quin added piano lessons, and later saxophone, then trumpet lessons. He developed into a well-rounded musician and played in both the All Star Rock Band and the Jazz Combo for over two years. Kate was a Music House student from a very young age, taking voice and guitar lessons. She gained experience performing, both in a band workshop and as a solo performer. Learning to write her own songs, and performing as a singer accompanying herself on guitar, made Kate a popular performer at Music House. We are very proud of these students and their accomplishments. Their hard work, and continuing interest in becoming the best they can be, will surely spell success for their future. 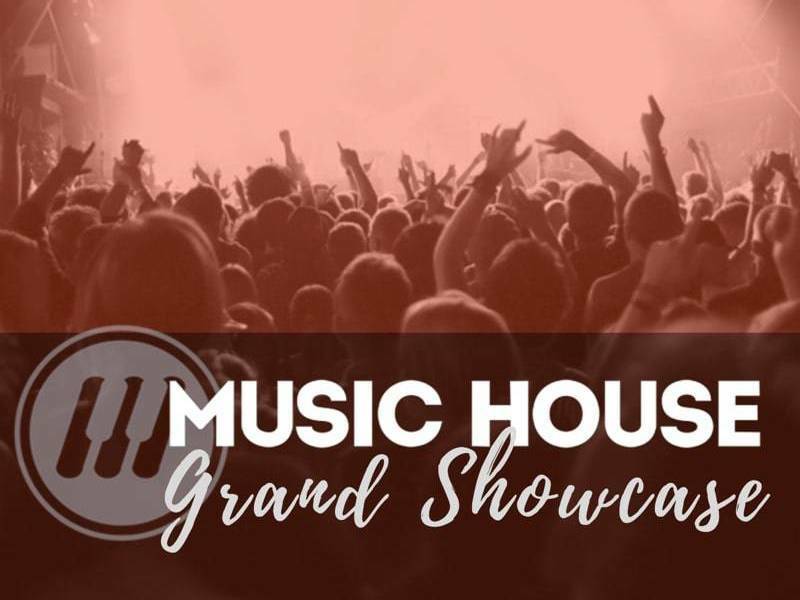 Music House is happy to have provided a music community, the expertise of our teachers, performance opportunities, and an ongoing learning atmosphere for them to develop as musicians.